Oil and gas company Total is developing a new drone with capabilities to assist in search & rescue, environmental protection, and rig safety. The unmanned aerial vehicle (UAV) is the brainchild of Fabien Farge, an emergency physician with Total in Angola. 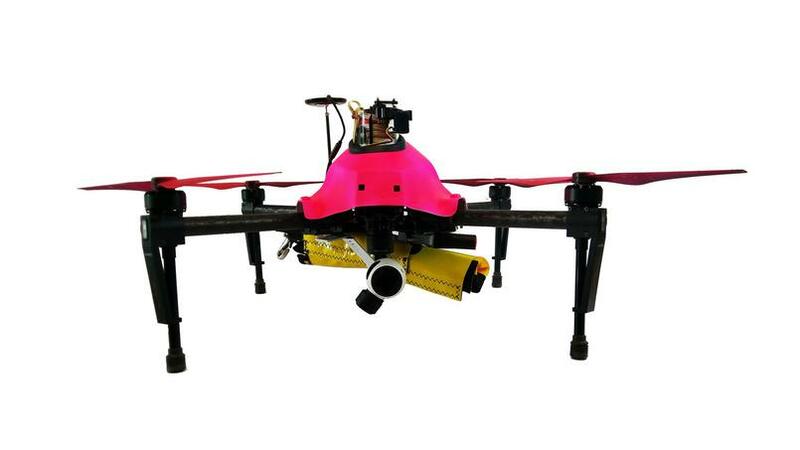 Known as HELPER (Human Environment and Life Protection Emergency Response), the drone carries a thermal camera that can be used to locate people at sea, as well as assessing the scale of leaks and spills. Different equipment can be swapped on to the drone depending on its mission, including a self-inflating buoy that can be dropped during rescue efforts, a tracking device to monitor slicks in real time using Google Earth, and a radio device to communicate with fishing crews and drifting boats near rigs. “The drone carries all the equipment it needs for a (specific) mission, so the equipment changes depending on the mission, but the camera is useful for all missions,” Farge told The Engineer. HELPER is based on an existing UAV platform developed by pilot and drone manufacturer Gérald Dumartin. After Farge had the initial idea for the project, he went to the Basque Country to bring the concept to fruition with Dumartin. The UAV is currently undergoing search & rescue testing in Biscarrosse, southwest France, with local lifeguards putting it through its paces. The next phase will see HELPER deployed to a rig site in Angola, where all its mission capabilities will be tested. Along with the potential applications in oil and gas, Farge said that French firefighters were also interested in HELPER, potentially using the UAV to monitor large fires. I’d like to see similar drones used in post-tsunami and earthquake drills. Here on the megaquake / tsunami vulnerable western Washington Coast, we could have need to identify thousands of victims.